Note: If you want to downgrade to older version, then follow below steps with older version setup file. 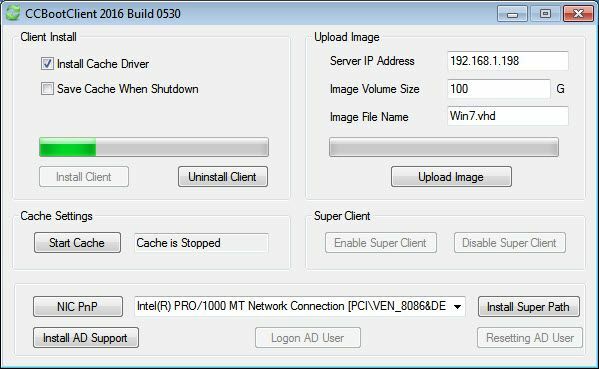 1) Enable super client for a PC (such as PC101). 3) On PC101, install the latest version of CCBoot client program. a. 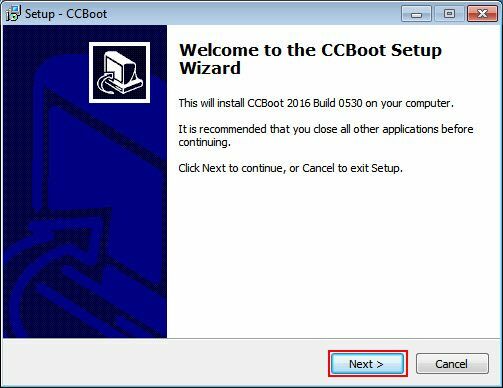 Run the CCBoot Setup Package, you will be asked if you want to uninstall old version. Click “Yes” to continue (Figure 1). b. On the setup wizard, click “Next” to continue (Figure 2). c. Choose “CCBoot Client Installation” and click “Next” to continue (Figure 3). 4) Now, click “Next” until the installation starts. 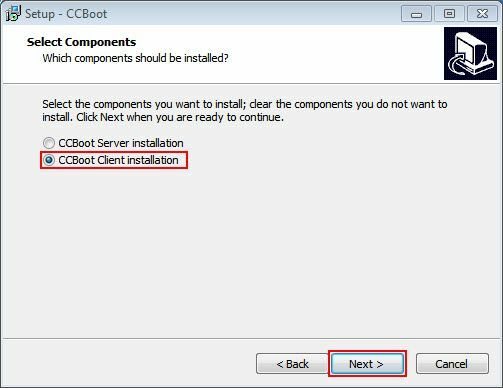 And once the installation completes, in the final wizard, check the “Launch CCBoot Client” check box and click “Next”(Figure 4). Note: Sometime the CCBoot service needs to be stopped before you can proceed with the update. 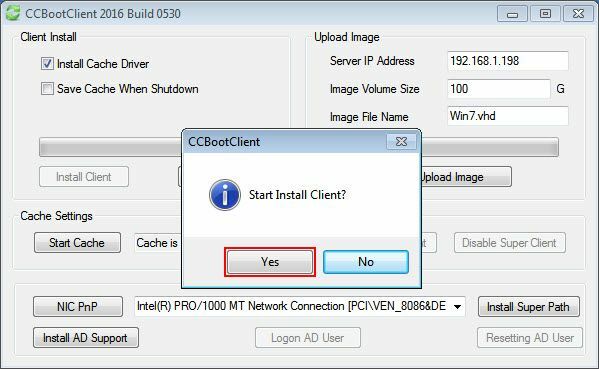 If CCBoot service is not stopped properly then uninstall process cannot complete. Thus, will prevent from updating to new version. 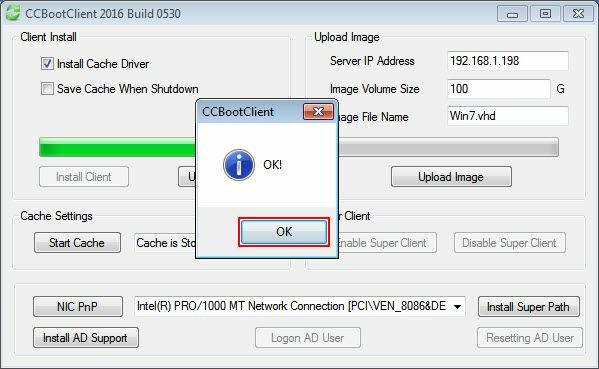 5) Now, it will open CCBoot Client application, with a prompt to start installation of “CCBoot Client”, click the "Yes" button (Figure 5). * Even if you have collected "NIC PnP" before, you have to collect the "NIC PnP" again. For details, please refer to "Add New Machine into Boot Image". 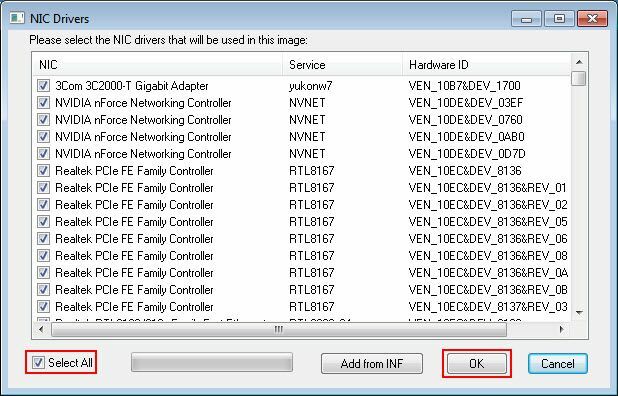 * If NIC PnP your NIC is not listed here you can manually add the drivers using “Add from INF” function. 8) Once the drivers are integrated to image, you will see prompt “OK!”, just click “OK” button to complete (Figure 8). 9) After this shutdown PC101 and Disable super client on the CCBoot server. 10) Now, image is update to latest version of CCBoot Client Application.